Advantages for children include being physically active, spending time in nature and getting away from screens. And fun. 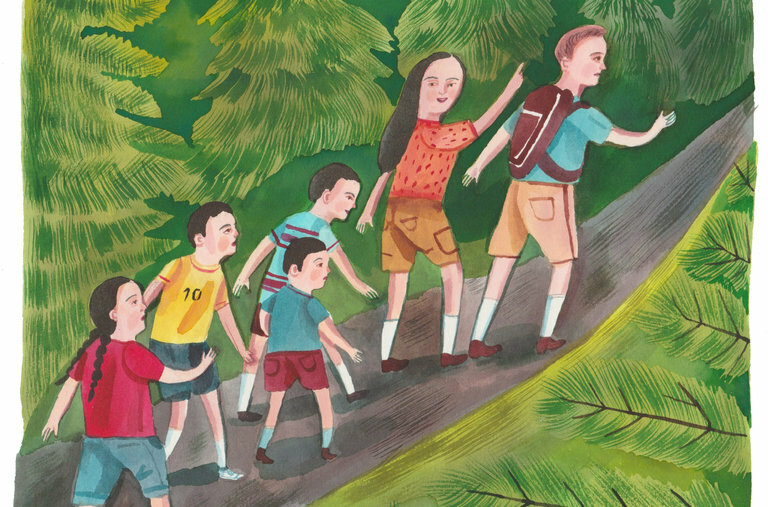 In his 2005 book, “Last Child in the Woods,” Richard Louv wrote about what he called nature-deficit disorder, and cited about 60 scientific studies looking at the benefits of nature and the problems that can come from being too isolated from the natural world. Today, Mr. Louv said, there are more than 700 studies (abstracts can be found on the website of the Children and Nature Network, of which Mr. Louv is the co-founder). Dr. Robert Zarr, a pediatrician at Unity Health Care in Washington, D.C., was inspired by hearing Mr. Louv speak at an American Academy of Pediatrics meeting and then by reading his book. Dr. Zarr is the founder and medical director of Park Rx America, a nonprofit that encourages doctors to prescribe parks; for some states, the website allows a doctor to search for parks near a family’s home address, or with particular available amenities, and write a specific prescription, with the name of the park, the activity, the duration, the frequency. The idea of prescribing parks is “probably more common sense than rocket science,” Dr. Zarr said, but it is also based in the expanding scientific literature that shows that spending time outdoors is good for physical and mental health. Much of that literature focuses on adults, he said, with population studies showing that closer proximity to nature is connected to positive effects on a wide range of health issues from obesity, hypertension and diabetes to depression and anxiety, and many more, though much of the research is still preliminary. There are some studies on children to suggest that unstructured outside play can be very helpful for some children with ADHD, and researchers have considered both the effect of green space and nature exposure and also physical activity. In recent years, he said, parents’ awareness of the health benefits of nature for their children has actually increased, though they tend to be less familiar with the research about cognitive benefits. But the barriers are still there, particularly, he said, a fear of letting children explore nature. On the other hand, Mr. Louv said, “I don’t dismiss parents who feel that fear; I felt it too.” Parents today are probably going to be accompanying their children more and hovering a little closer, but they shouldn’t feel the need to be all-knowing experts. “In a way, parents who don’t know the names of all the plants and animals are better off,” he said, because they are learning with their children, and can feel the same sense of wonder. And of course, as a pediatrician, I need to add certain safety reminders: tick protection, sun protection, helmets when you bicycle or ride your scooter. “Clearly there are going to be risks, but the risks of not going outdoors and continuing the pattern of 90 percent indoors is going to kill us,” said Captain Sarah Newman, the director of the office of public health for the National Park Service. Public health has been an aspect of the park service since it first started, she said, with parks seen as places for respite from cities and pollution, places to connect with nature and get healthy exercise. In 1918, she said, the park service had one public health service officer, but there are now 54, mostly working to protect park visitors and employees from disease risks. Their work also includes health promotion in an initiative called Healthy Parks Healthy People. The initiative especially targets both children and the elderly, she said, along with the most vulnerable communities, and also the military. Read about one family’s weekly hike, on the same trail. “This isn’t another must or should to stick on a refrigerator door and feel guilty,” Mr. Louv said. He suggested that parents schedule time for hiking, or consider joining a family nature club, which will also give kids companions their own age for exploring.